With the introduction of online accounting software we can now access our clients’ information on-line in real time. This has made the accounts preparation process more timely and efficient, as well as opening up access to more up-to-date and detailed business information. 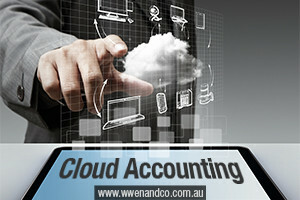 Choosing from the various cloud-based software such as Xero and MYOB etc. Maintaining your monthly or quarterly bookkeeping. Preparation of your pay slips and superannuation guarantee contributions. Call our Epping office and our consultants will be more than happy to answer your questions and help you to manage your cloud accounting system.